When I got the idea, I was a student under professor Władysław Pluta (and assistants: Barbara Widłak and Szymon Kiwerski) at the Academy of Fine Arts in Krakow. I was working on a poster design for the upcoming Golden Bee Poster Biennial in Moscow. 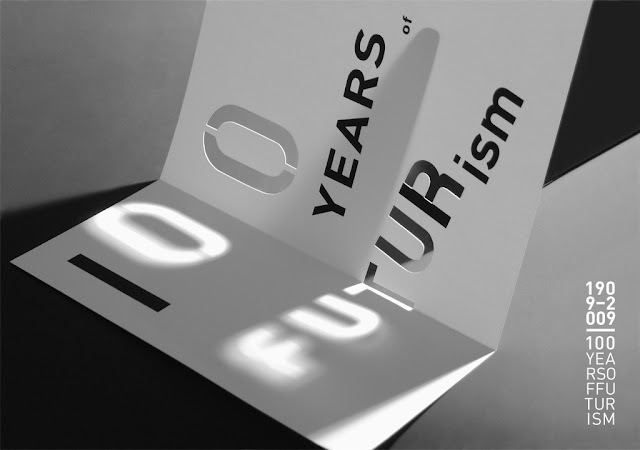 The main theme for the biennial was the 100th anniversary of futurism. What really got me inspired was the book cover I found when surfing the Internet. 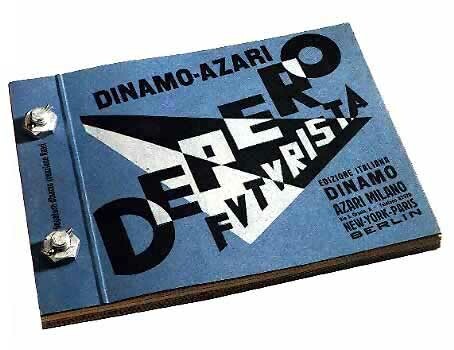 The book was by Fortunato Depero, an Italian futurist. You can read more about the history behind the book here. The thing that made me think was not the bolts used to bind the book, although they look really cool. What got me inspired were the letters, looking as if they were made of light. Pop! the idea was there. After that, I started digging deeper into the structure and letter forms. Then I began experimenting with paper structure and different lighting. The main problem was choosing the right typeface that would allow cutouts, but would still maintain elegant, geometric forms. And communicate what futurism is! If you'd like to learn more about futurism, go here. Then came the process of polishing the design, retouching the photo and adding text. You can see the final effect on top of this post. Well, you've seen it already if you're reading this. 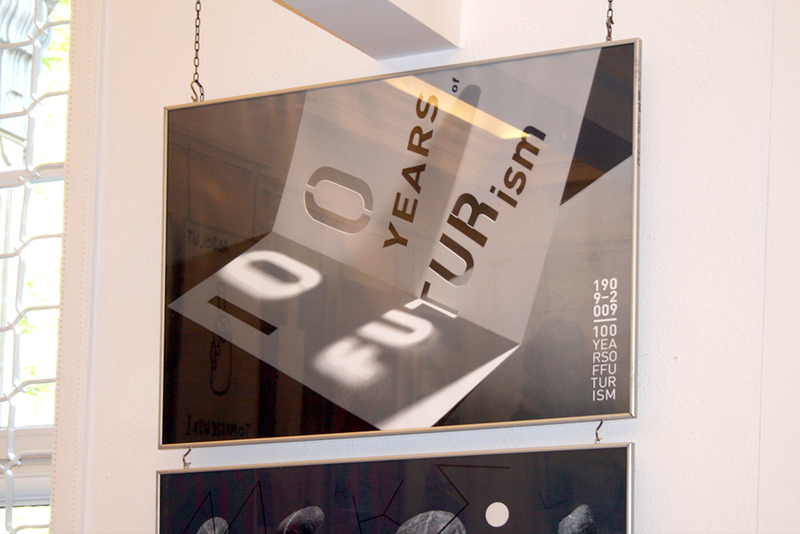 The poster was exhibited during AGRAFA International Graphic Design Biennial 2009 in Rondo Sztuki, Katowice. 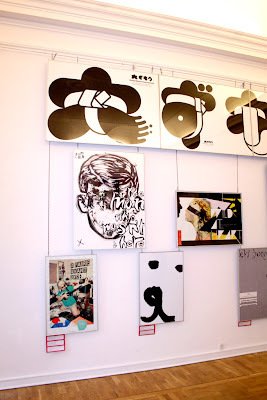 It was also selected to take part in the exhibition during 22nd International Poster Biennial 2010 in Warsaw. 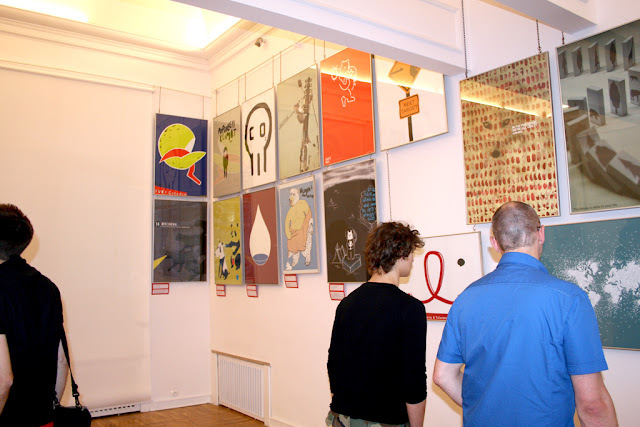 The poster is in the permanent collection of Poster Museum in Wilanow. 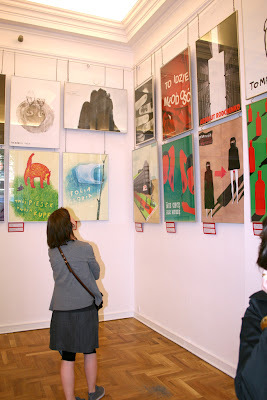 You can see a couple of pictures I took at the exhibition below. As always, if you'd like to share your thoughs, feel free to leave a comment here. Hi ! I found your blog absolutely randomly, but I'm really impressed by this post. I think it goes well with the "spirit" of the futurism. Plus it's elegant and beautiful. I love it anyway ! Hi, Marion. Thanks for the comment, I really appreciate it. As for your question, you made a good point - it was also something I had to figure out when thinking about how to make it work. The solution is actually very simple - the vertical stem (part) of R is printed on the paper, but the rest of the letter has been cut out. When the light goes through the cutout, the shape that you get is the inverted part of R that has been removed. The shape created by the light isn't very precise, so it creates an illusion of a capital F. If you look closer, you'll see that the inverted part of the R letter made of light is still visible. I didn't retouch the original shapes, my only concern was to remove the scratches and other imperfections from the surface and add typography.